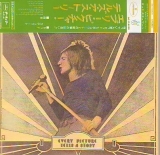 Universal International SHM mini LP release of Rod Stewart catalog. Really nice release all around. 2010-05-15 - Reprint (2010-04-03) recorded by robot harry (source CDJapan).